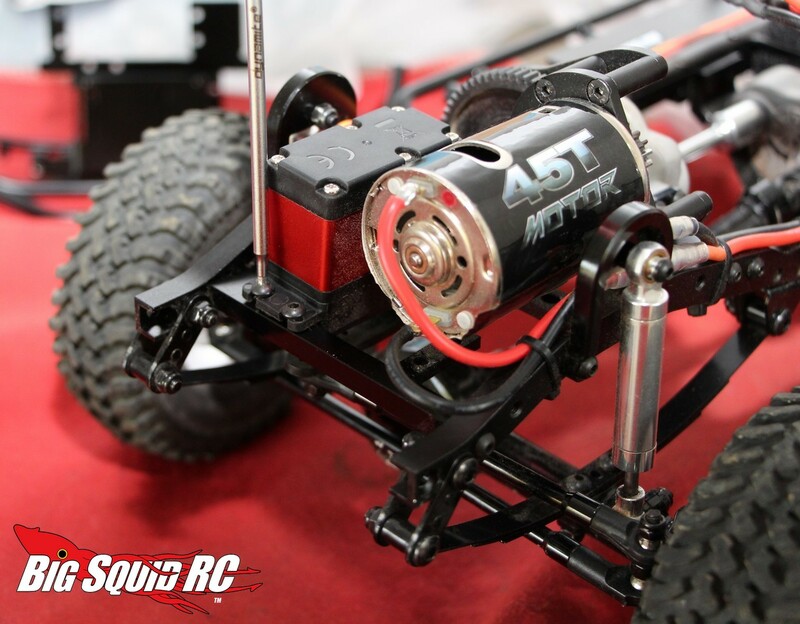 Hopping Up The RC4WD TF2 LWB – Part 1 « Big Squid RC – RC Car and Truck News, Reviews, Videos, and More! With more people jumping into the scale crawling world every day, we have decided to do a series of hop-up articles for new people to the genre. 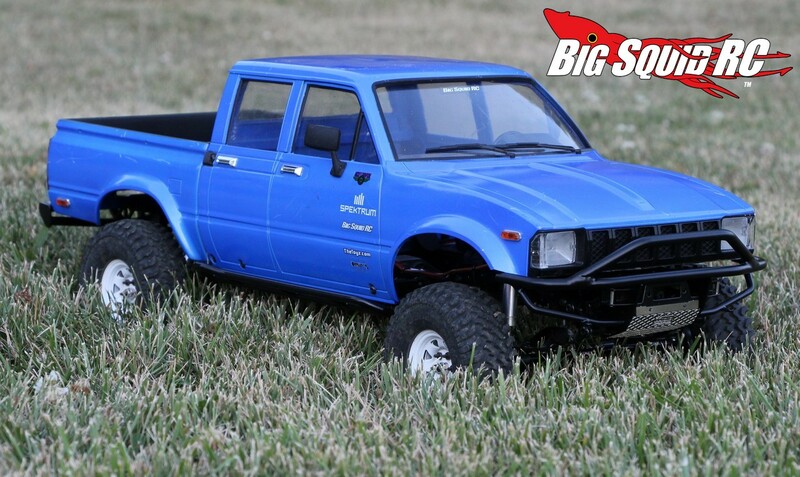 We are taking a very popular starter truck, an RC4WD Trail Finder 2 LWB RTR, and making some easy mods. 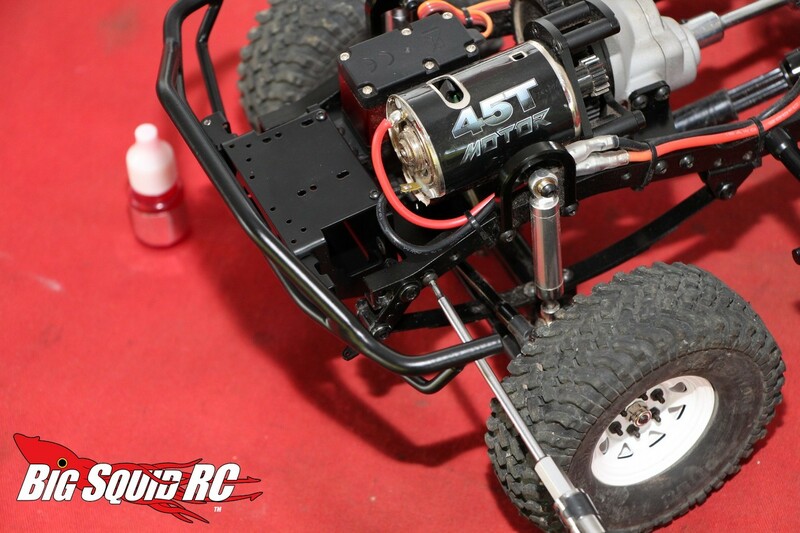 These will be mods that are common for the scale scene and are things that will also help improve performance while out on the trail. This week we decided to replace the stock plastic bumpers and side sliders. 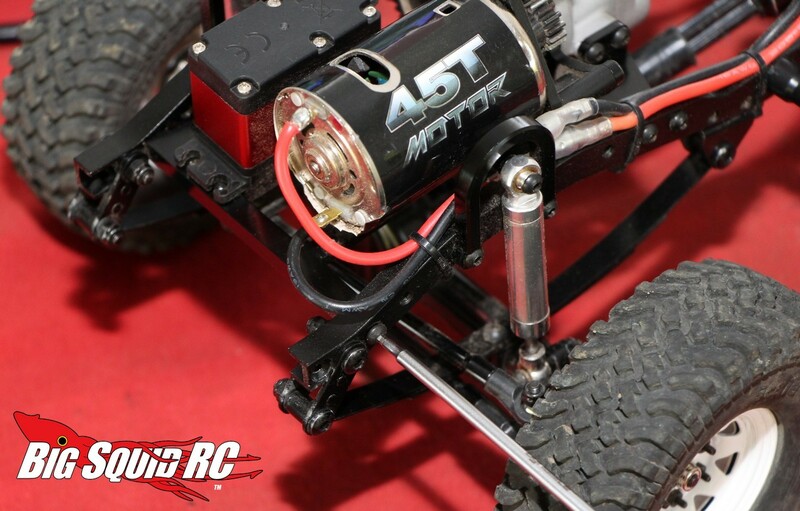 This is a common upgrade that is both easy to do and relatively cheap. 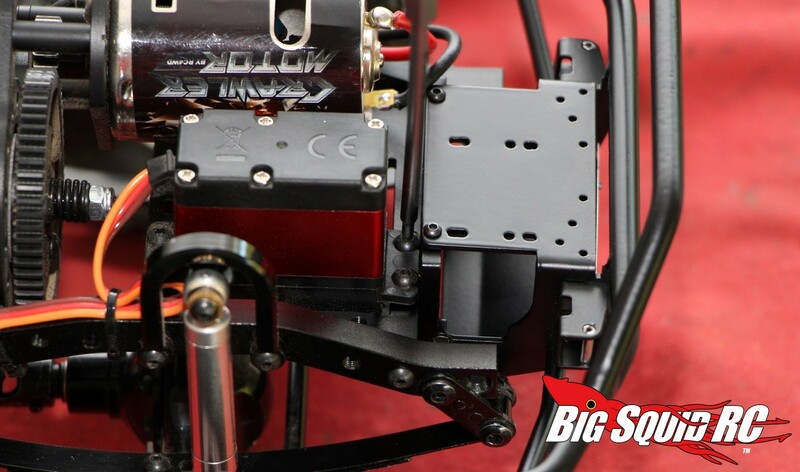 The stock plastic units work fine, but there are some good reasons to go with upgrade units. Steel bumpers and sliders tend to slide over rocks better than plastic, plus they make a more realistic sound when scraping across the top of rocks. 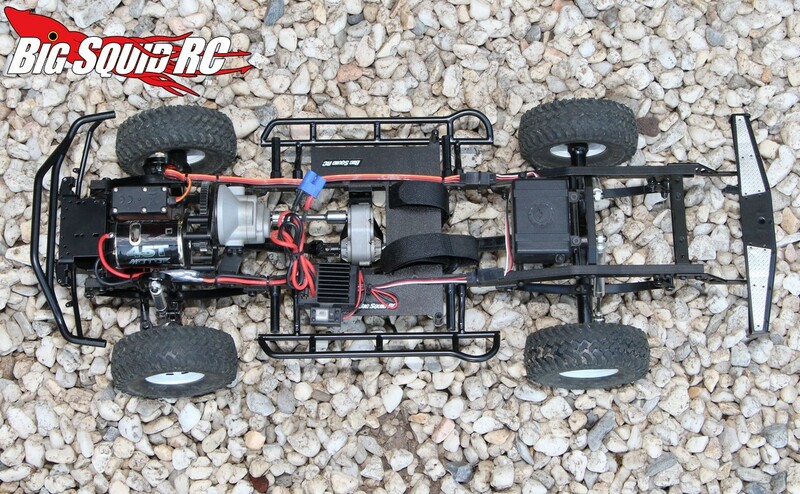 We started at the back of our TF2 LWB RTR by removing the stock plastic bumper. 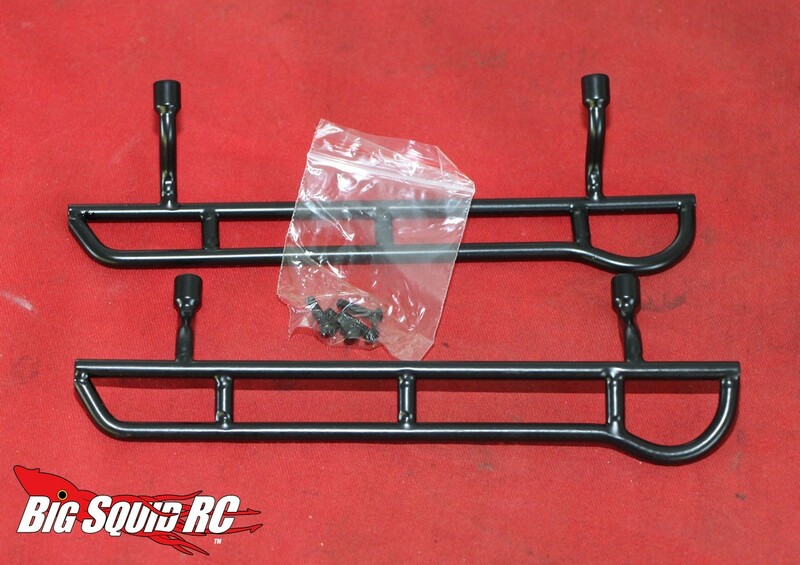 The rear bumper is easily taken off by removing a pair of 2.0mm screws. Another pair of 2.0mm screws are then removed that then allow the new bumper to be bolted on. 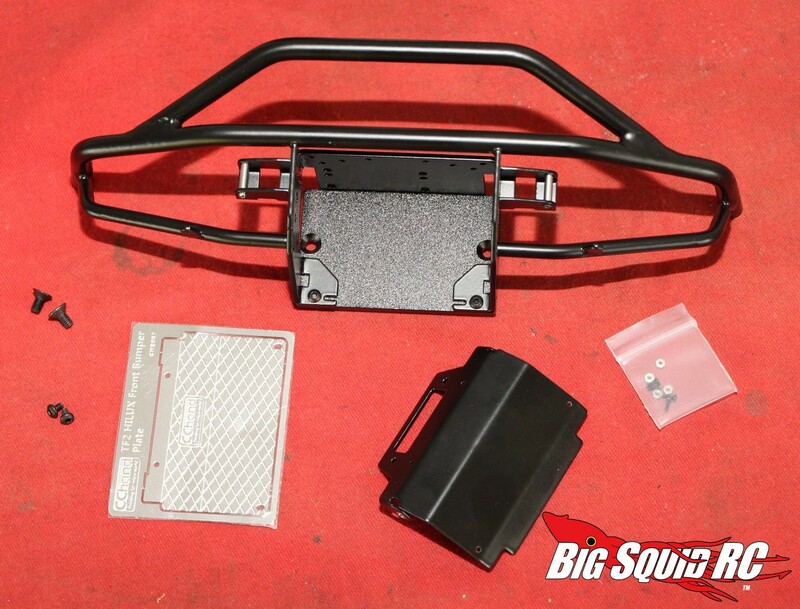 For a new rear bumper, we went with a CCHand Steel Style A unit (#VVV-C0208, $89). Our unit came with two sections of bolt on stainless steel anti-slip sheeting which was attached via 10 scale realistic screws. The entire time to install the rear bumper was under 10 minutes and the new unit is much beefier and more scale authentic. The easiest part of our upgrade was replacing the plastic side sliders. 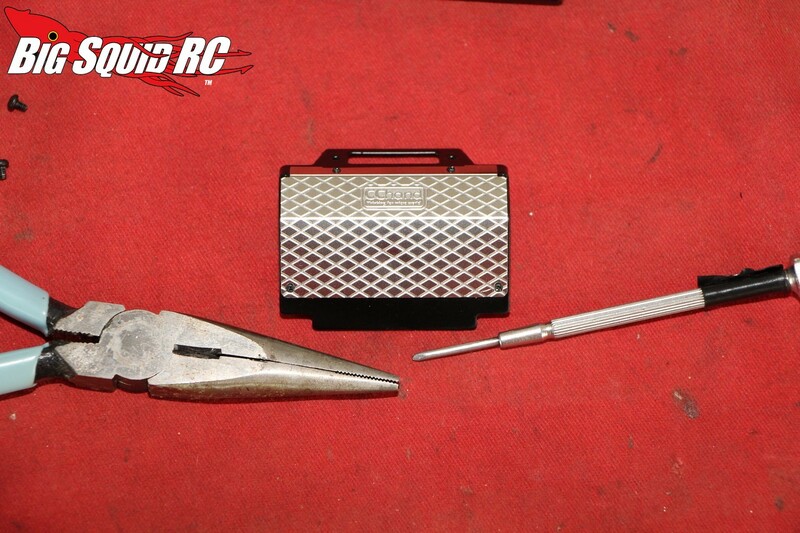 The stock units were easily removed via four 2.0mm bolts, with the upgrade units going on via the same four screws. 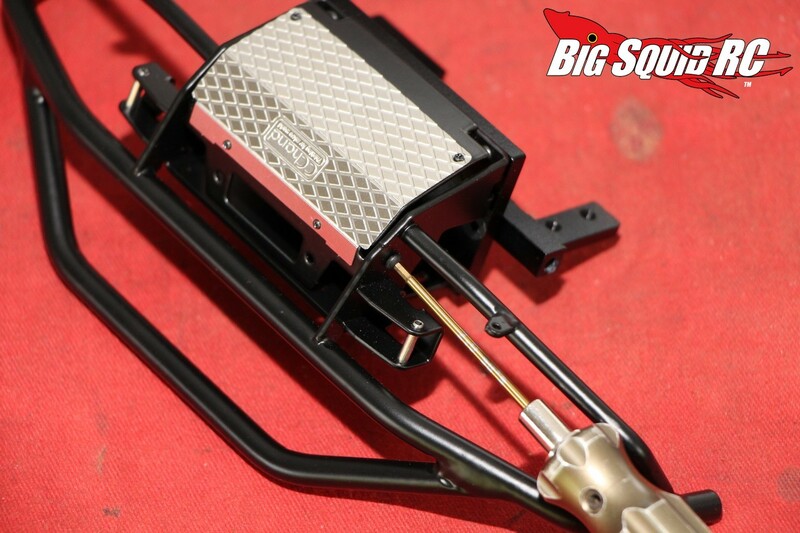 We went with RC4WD’s Tough Armor Steel Side Sliders (#Z-S1796, $42) for this upgrade. The total install time was under 5 minutes, yet the steel sliders do a much better job of sliding over rocks during trail drives. 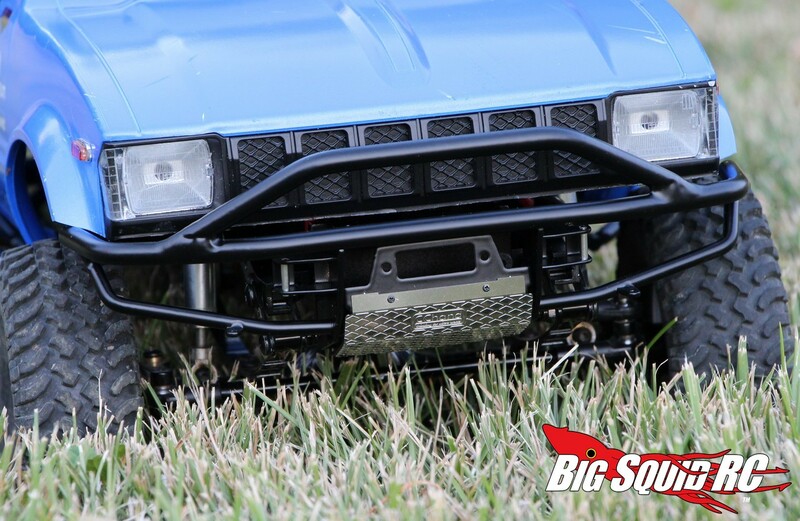 The front bumper an any scaler is very important. 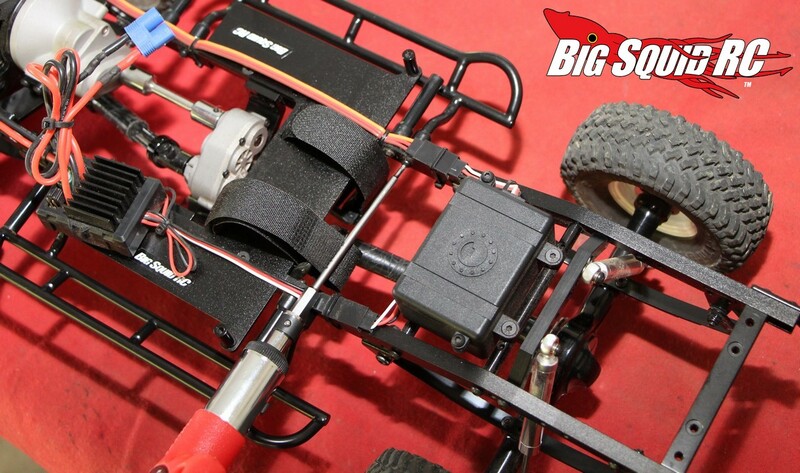 Not only does it need to be ultra-durable, but it can also be used to mount a winch, tow hooks, or lighting. 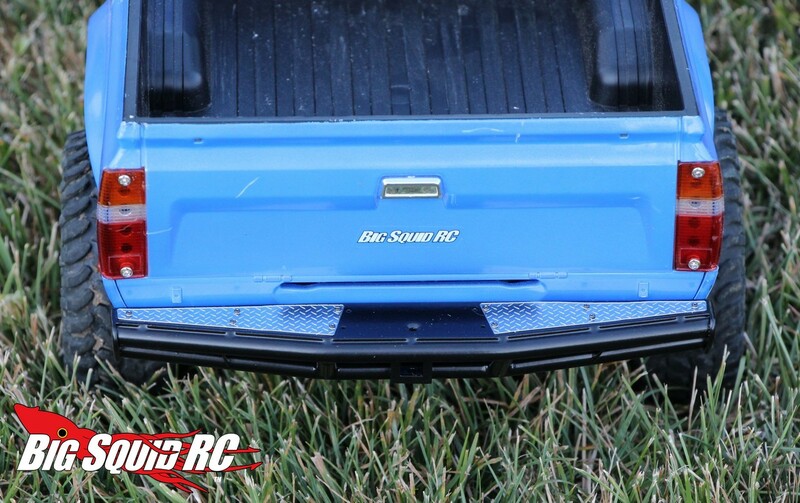 To make sure we got a bumper that was more than ready for accessories in the future, we went with a CCHand Rough Stuff Metal Front Bumper (#VVV-C0206, $106). 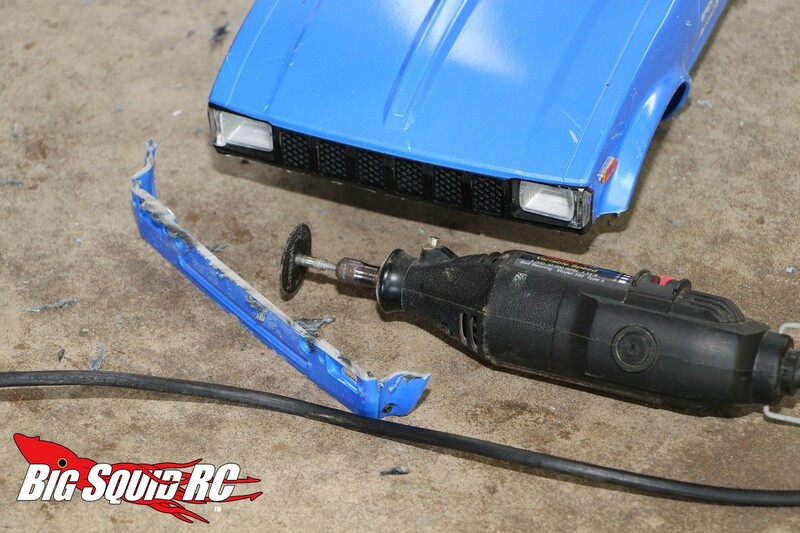 The install of the front bumper was a bit more involved than the rear because the bumper we chose required the removal of part for the front of the body for clearance. 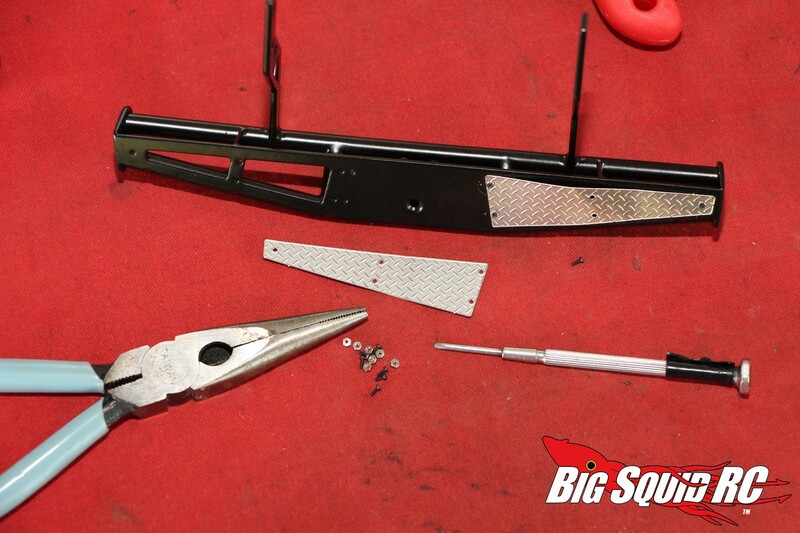 First, to remove the front bumper we took out a pair of 2.0mm screws. 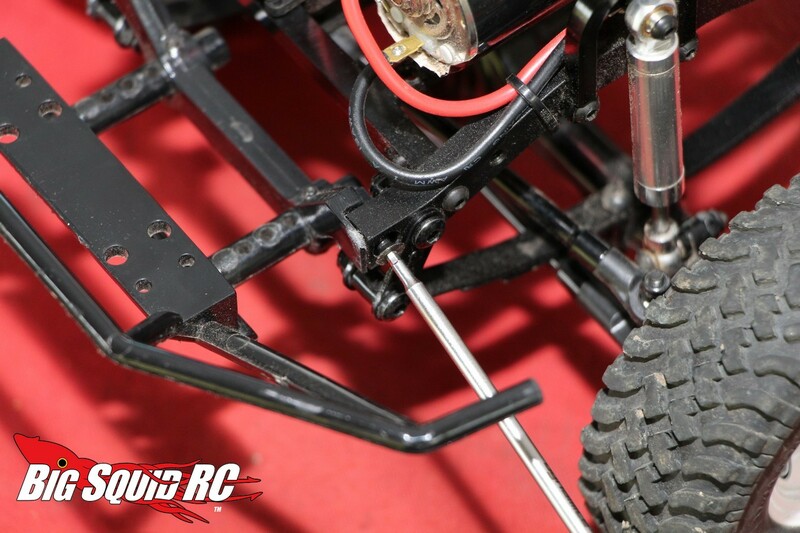 To allow us to mount the new front bumper, we also had to remove 2 screws out of the front of the servo, as well as two more screws where a cross brace mounted to the chassis. 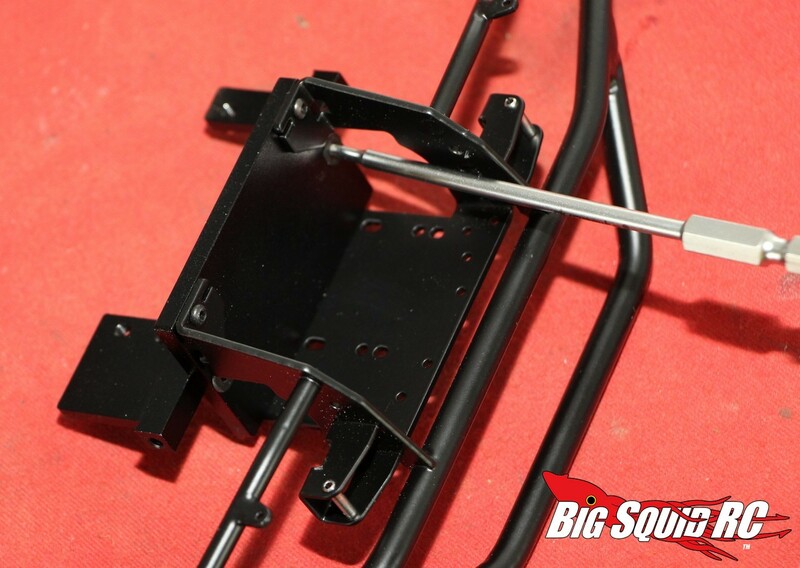 With the stock bumper and brace out of the way, the CCHand front bumper was easily mounted via 2 screws into the chassis along with the two screws that we had removed from the servo. 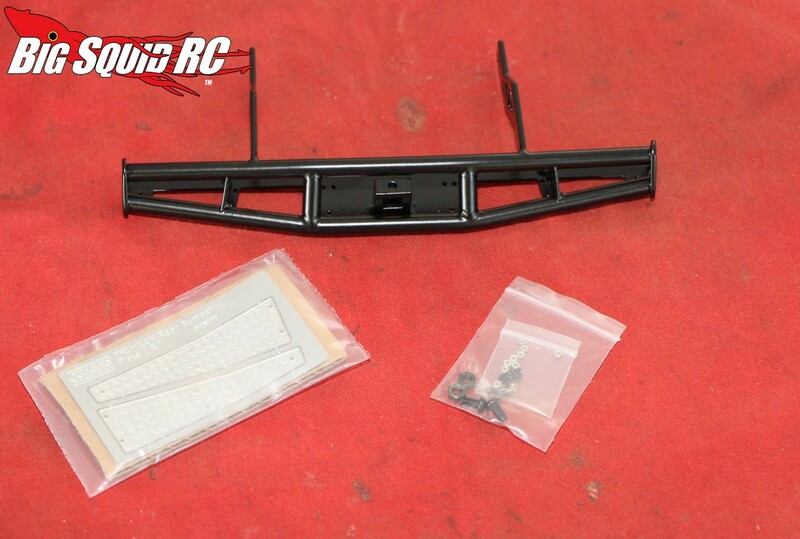 Also of note, the front bumper we selected, like the rear, came with a stainless steel anti-slip section that was mounted via tiny screws. 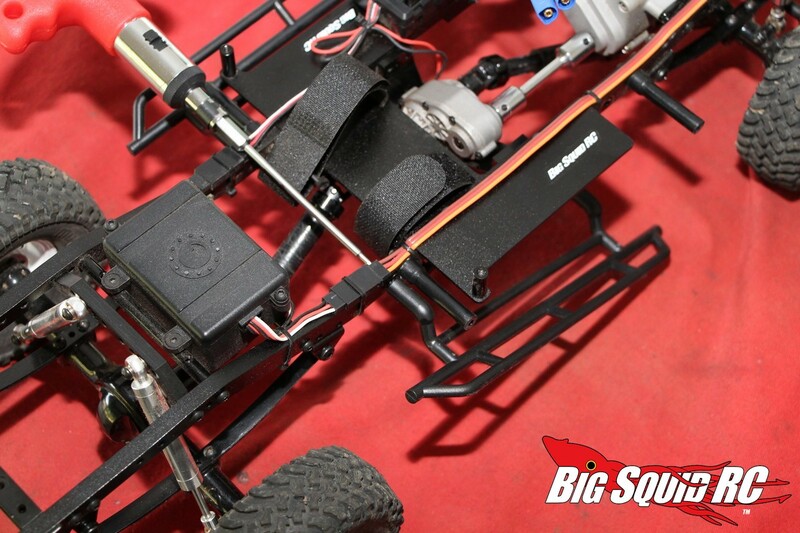 Next we grabbed our Dremel tool with a cut-off wheel and removed a small section on the front of the body for clearance. The entire front bumper install took less than 30 minutes and turned out looking perfect. 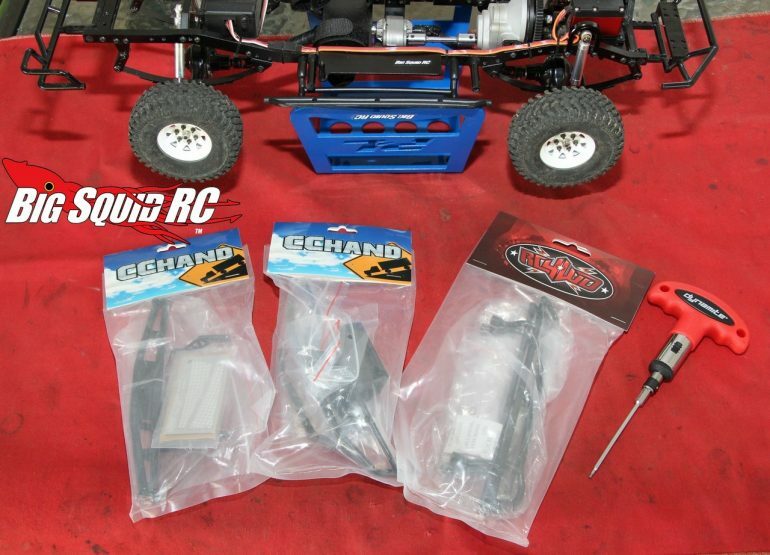 Once finished, we went to our local crawling spot to check out all three upgrades. 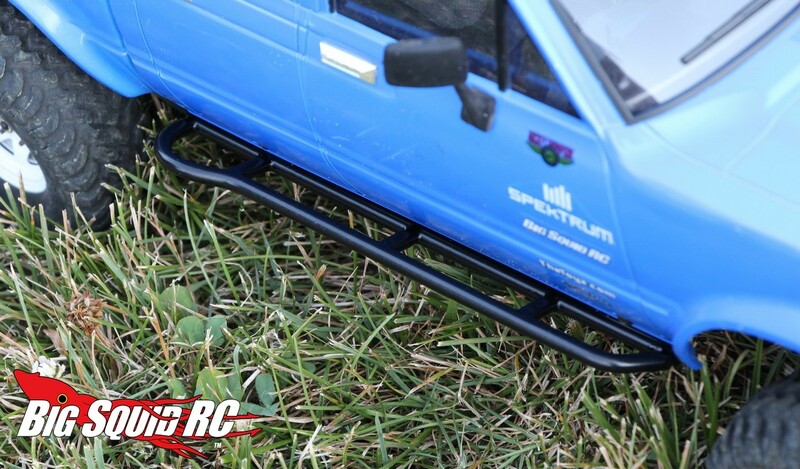 The sweet sound of metal on rock greeted us on harder sections and we found the front bumper gave the truck a better approach angle. 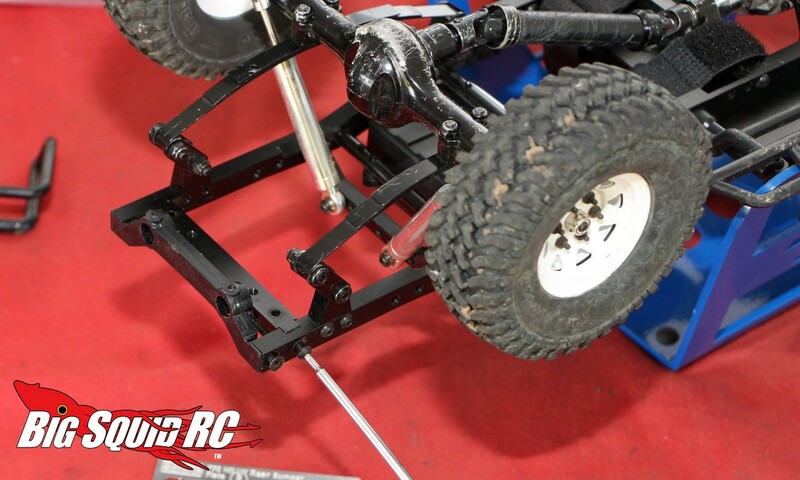 The new front bumper helped us clear sections that we had issues with before and we appreciated the extra strength on the rear bumper and side sliders. 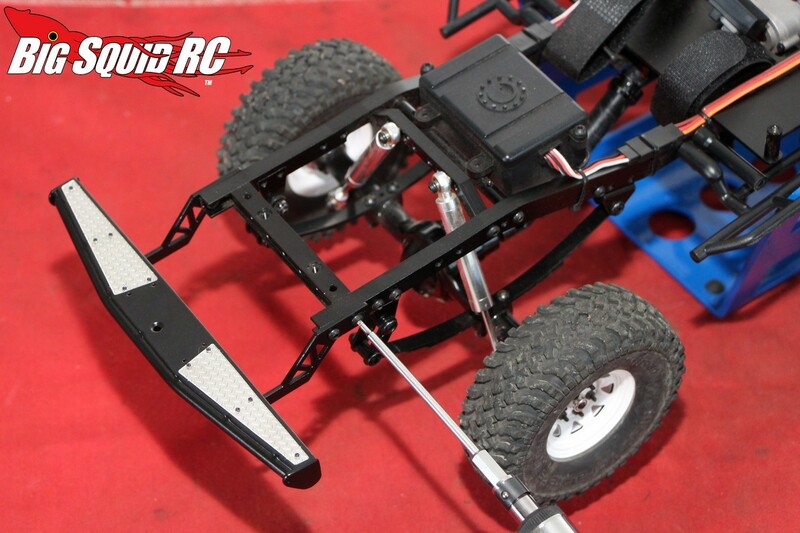 For as little time as we spent on the upgrades, we were very impressed with the difference in look and in the increase in crawling ability. 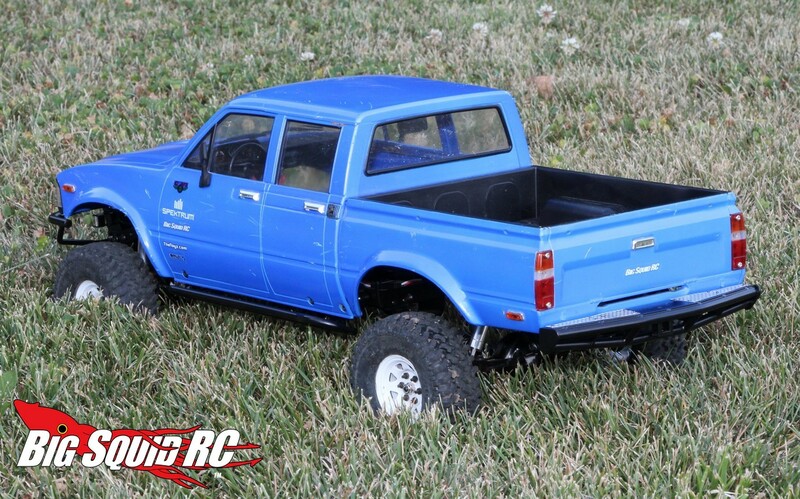 We are only just getting started modding out the TF2 LWB RTR, until next time you can use This Link to check out loads of scale accessories over on RC4WD’s official website.